This cake is fun. 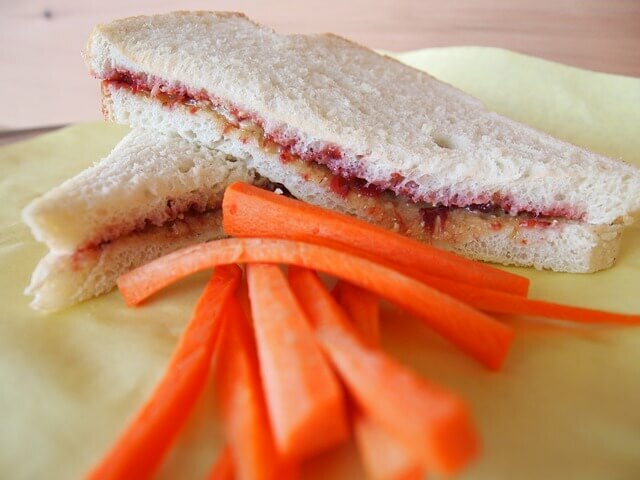 It has the flavors of a peanut butter and jelly sandwich which is a favorite of kids around the world. They are sure to love this cake just as much. It would be fun to serve this to adults as well. It might make them feel nostalgic. Even adults eat the sandwiches as well so they may just enjoy the cake for that reason. This is one of those cakes you’ll be asked to make again. The cake batter is not too sweet so the sweetness from the peanut butter and jelly is not overwhelming. After the peanut butter and jelly us swirled in, each bite should have a taste of both. The cake can be stored and eaten for three days after it’s made.